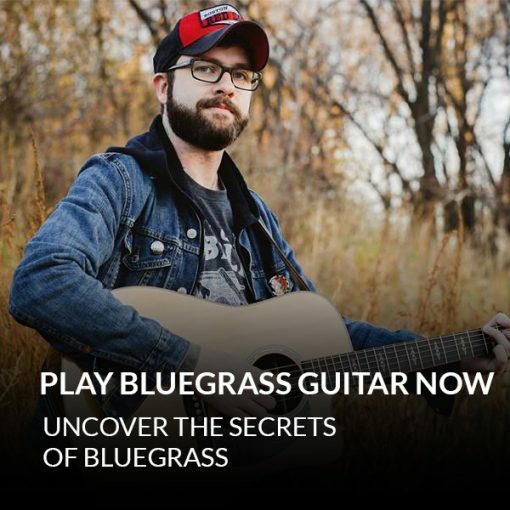 Visualize - You’ll “see” how to play essential bluegrass rhythms and licks. Connect - You’ll connect these rhythms and licks with crucial scales and chords. 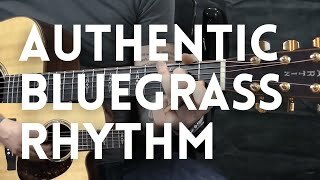 Play - You’ll play bluegrass guitar with confidence and style, and you’ll have the skills to create your own bluegrass songs from scratch. 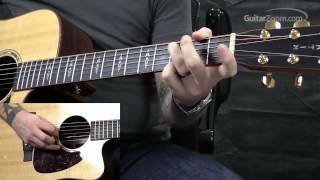 Fundamentals of bluegrass guitar, so you can develop that “punchy” bluegrass tone and build up your playing speed. Easy stretches and warm-up exercises. So you can always play your best and avoid injuring your hands and fingers. Essential scales and patterns for bluegrass playing. So you can play comfortably and focus on the melody, instead of wondering where you’re at on the fretboard. Find out how to add basslines to your strumming. Which means, you can “lock in” with the bass player if you’re in a band, or drive the song forward if you play solo. Discover crucial bluegrass licks, and get pro tips on hammer-ons and pull-offs. So you can add licks to your strumming and sound awesome. 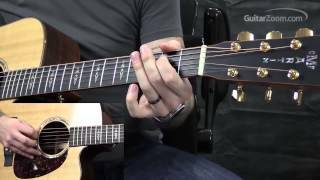 How to play a classic bluegrass tune, “Blackberry Blossom.” So you can bring it all together and play a complete bluegrass song. 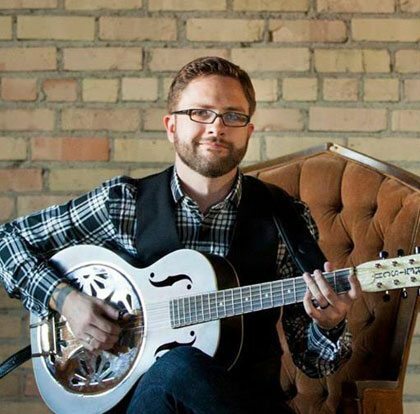 Rob Ashe, a well known guitarist, singer-songwriter and guitar instructor from Fargo, ND with a nearly 20 year experience. Ashe got his music education degree at the Minnesota State University Moorhead and has now become a veteran of both the stage and the studio. He’s been performing as a solo musician, session player and also, as a member of the “Fargo Super-Group”. He’s opened for blues legends like Buddy Guy and Charlie Parr and once upon a time took lessons from a jazz guitar virtuoso, Charlie Hunter. 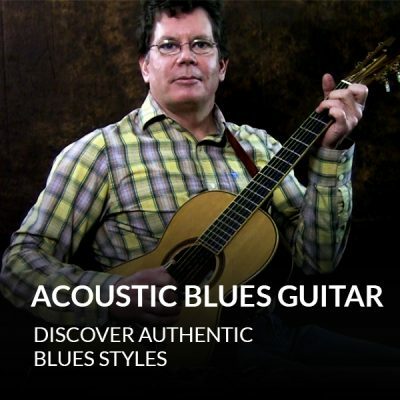 Rob Ashe specializes in a blues and rock playing, particularly slide guitar and draws influences from Dimebag Darrell of Pantera, Jimi Hendrix, Derek Trucks, Seasick Steve, Django Reinhardt and Doc Watson. Aside from Ashe’s specialty, blues and rock playing, he’s played everything from from neo-classical speed metal, folk, bluegrass, and jazz to hip-hop and modern pop music. Also, he’s been teaching guitar privately for the past 8 years to students of all ages and skill levels. His teaching style mixes a methodical, step-by-step approach with an easy, humorous attitude that informs as well as entertains.